There were no costs to install the solar panels. Effectively the company rented the space from us. We make first use of any electricity generated. They take everything we don’t use. A win/win situation for us. Decided to make improvements to reduce carbon emissions. Insulation has made house warmer in winter / cooler in summer. Energy bills reduced. Over say a 10 year period, costs reasonable. No unexpected costs and relatively little disruption other than replacing ceilings below flat roof. Remaining improvement will be to replace chest freezer which is old. From URC Hall turn right follow road straight on to All Stretton. Into the village, pass Starr Lane and Farm Lane on your right, then look out for white gates at break in stone wall on the LHS. Drive through white gates. House is at the end of the drive. Solar PV makes a difference, try to make sure to do jobs requiring energy during the day. Savings on gas in the region of £50, and for electric in the region of £185 with the possibility of improving on this as they get better at using the controls. From The Church Hall turn right and follow the road straight on out of town to All Stretton. Farm Lane is on RHS single track before Stretton Hall and the pub. Follow lane until you go straight bridge. There is a parking space immediately on RHS Tettenhall is house behind the hedge. Suggest you go straight on to A49 and back round to visit other homes to avoid oncoming traffic. Limited parking in Farm Lane. We have a friendly dog. The loft has been insulated and a new extension has been insulated to probably twice as much as the regulations require. The bay windows have been renovated to improve energy efficiency and double glazed units have been inserted. 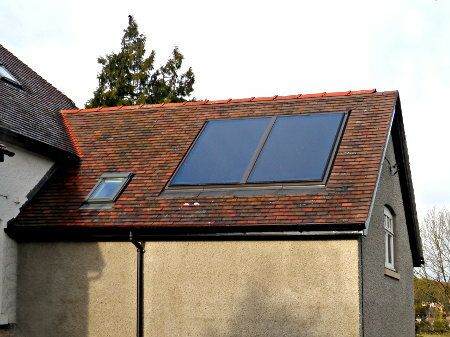 There are solar hot water panels, that are flush with the roof rather than mounted on top (installed on new extension by E.S.P. Shrewsbury). Next project is to insulate underneath floors of hall, living room and dining room. Unexpected behaviour change, household has become much more disciplined about using gas boiler, and think about whether they actually need to do so. Homeowners are aiming to be more resilient against energy costs in the future. To find our house (The Maltings, Little Stretton) from the URC Church Hall, travel to Little Stretton and go through the village until you come to the Green Dragon on the right. We are diagonally opposite the pub, on the corner of Crown Lane. Oil central heating: 1100 litres per annum on average. Cost of oil substantially reduced by solar hot water system. 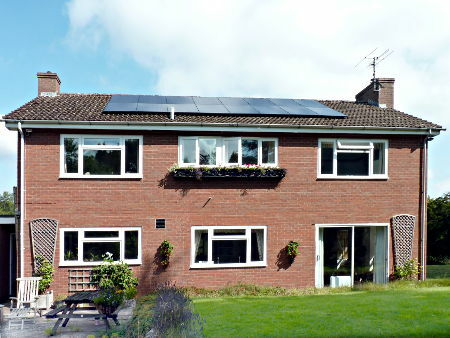 The installation of the solar PV and water systems was remarkably trouble-free and tidy. We will recoup the cost in 9 years. Loft insulation already in place in 1990s. 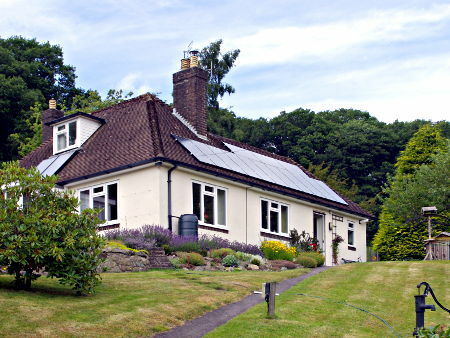 Solar hot water system installed in 2007 (by Smart Energy). Old fridges and freezers replaced 2011 with ‘A’ or ‘A+’ rated ones, saving 2kwh per day. 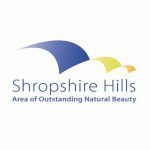 The Local Authority gave immediate consent for these improvements, following the sending in of a very simple form, and a Planning Application was not required. Energy Usage The main heating fuel is oil, as there is no gas in the village. Annual oil consumption: 1100 – 1200 litres (reduced from 1500-1800 before solar hot water system. Money saved = £150 to £250 per annum at current prices). Cooking is by electricity. Two dogs, friendly but noisy. 1960s bungalow with 5 bedrooms built on top in 1989. 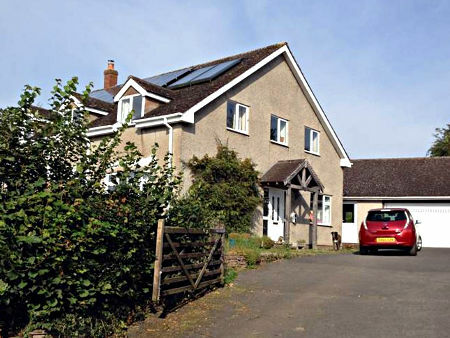 EPC – D but now C having put in underfloor insulation.THEN.. Most changes were partly down to concern about the costs of running the home and an abhorrence of waste. However they have also made living here much more comfortable. It’s better to have low heat in and low heat loss than high heat in and high heat loss. The electric car saves c£1,000 pa in diesel – a bit less as price of diesel has come down (I understand…) and there is no road tax and low insurance. But it’s still a very expensive car! (we bought it to encourage the EV industry). 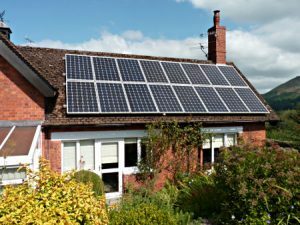 PV panels will pay for themselves in 8-9 years and give a good return on the investment; (this will sadly no longer be the case for those installing PV from next year). 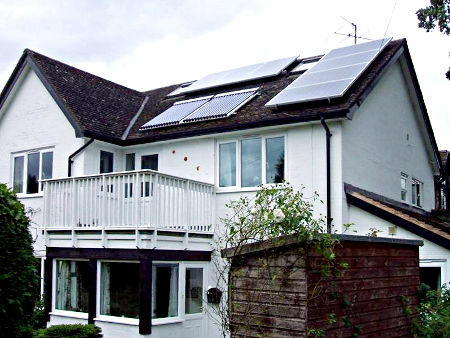 Unexpected benefits of PV – the panels shade the roof so in summer the loft remains cool. Directions Womerton is Ok to find with SAT NAV using the postcode SY6 6LJ. From Church Stretton the best route for non locals is to take the A49 North towards Shrewsbury and go past the Heatherbrae Craft Centre and take the next left turn just before Leebotwood signed for Lower Wood continue under the Railway Bridge and uphill over the crossroad and onto the hill over a cattle grid. We are the first property on the right after the cattle grid. Triple glazing and good internal doors. Satnav gets you to the house. From URC Hall turn right follow road back into town, straight over mini roundabout, then onto crossroads. Turn right down Sandford Avenue, straight over crossroads at traffic lights onto B4371 to Much Wenlock. Turn first left down Watling Street North (single lane road). Continue on road and soon after sharp right bend, take second left turn into Oaks Road. Continue up the road and at the top of the hill, our house is on the left with blue double garage doors. It can’t be missed: solar panels stand out on the roof! Standard brick and tile construction house built in 1970. 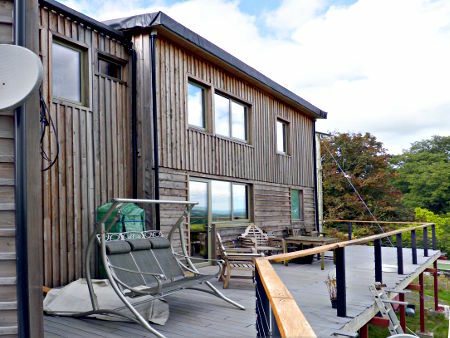 We have lived here for nearly 18 years and in that time have replaced all the windows with double glazed windows, further insulated the roof space and installed a log burner in the living room. 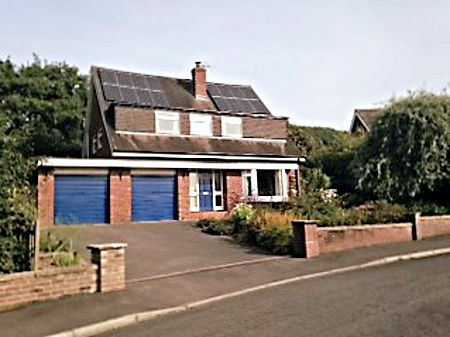 In 2011 we had the cavity walls insulated, installed Solar PV panels (by Salop Energy) and Solar hot water (new condenser boiler by British Gas and thermal panel by a contractor of Worcester Bosch). The savings on hot water are difficult to quantify, but in the summer months we don’t need to heat the water at all. We receive more in payments through the FIT (feed in tariff) scheme from our PV panels than our electricity and gas bills combined. When Salop installed the PV panels, we were told that the pay back time would be around 7 years. The only noticeable changes we have made is to use appliances such as the dishwasher and washing machine when we are generating electricity i.e. when the sun shines!